Aluminum Returns, Neon Tube Illumination, optional clear Acrylic Faces and Trim Caps. Open Face Neon Channel Letters emit light from the front of the letters through custom bent glass Neon tubing. 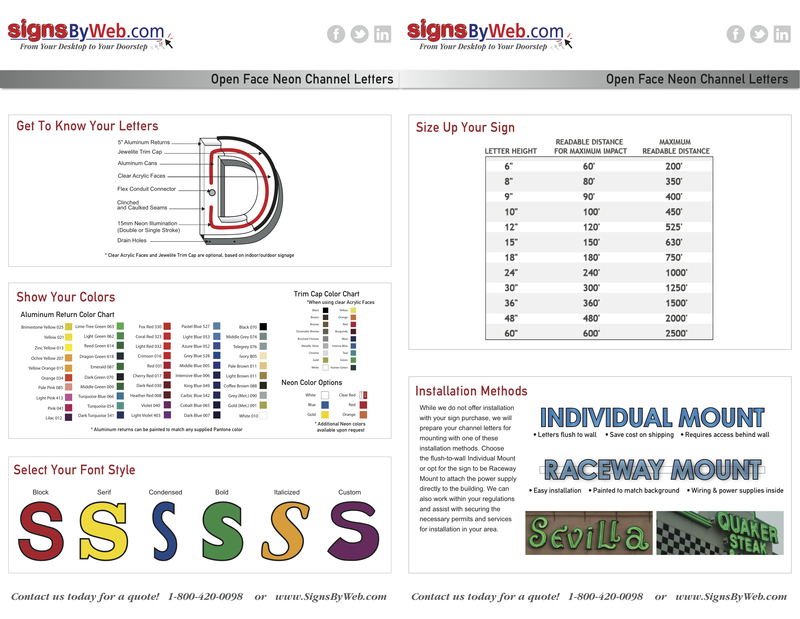 Download our Need To Know Guide for Open Face Neon Channel Letters to take our info with you!